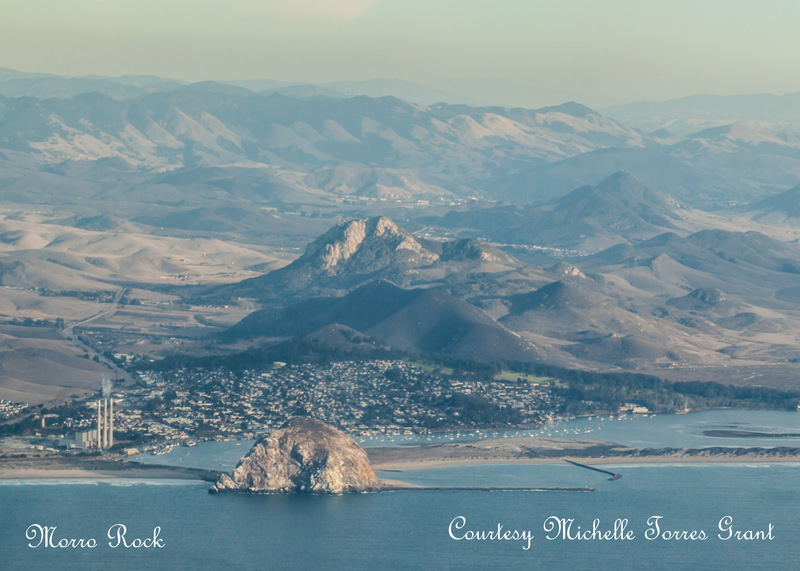 We were off, with familiar sights ahead of us: pristine blue skies, three stacks, Morro Rock and the wide blue ocean. Straight out, as we departed runway 29 and headed straight for the ocean, following highway 1. Off somewhere to the left, was my home, when I last lived in these parts. It was clear and calm, with unlimited visibility. The sky blended into the ocean and the Cuesta Ridge, Irish Hills, Islay Hills, and Bishop Peak, were all clearly visible. The lack of rains and drought, had rendered the hills brown. Yet, the clear blue skies and turquoise blue Pacific Ocean, provided uninterrupted and unending vistas.